Disney Infinity Power Discs resemble either round or hexagonal coins with one of each Disc available per Power Disc Pack. 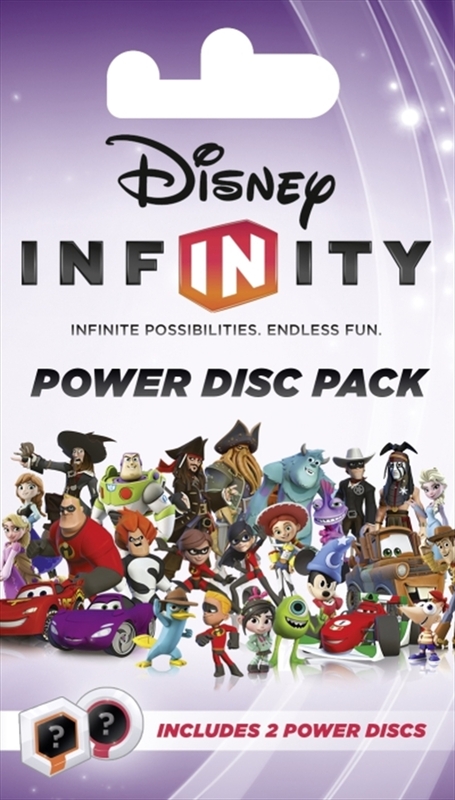 The purpose of the Disney Infinity Power Discs is to provide either added abilities or items to the player while in the Toy Box mode or while playing in a Play Set, depending on which type of Power Disc is selected. Some of the rarest Disney Infinity collectibles are expected to come in the form of Power Discs given their shared design between discs. The round Disney Infinity Power Discs are designed to sit underneath a Disney Infinity character figure. It is rumored you can stack up to two discs under a single figure, and that figure will then grant the object or ability the Power Disc grants. The hexagonal Disney Infinity Power Discs are designed to sit in their own slot at the rest of the Disney Infinity Base. They provide a secondary character for use in Toy Box mode such as Dumbo or Maximus, and are only usable within Toy Box mode.